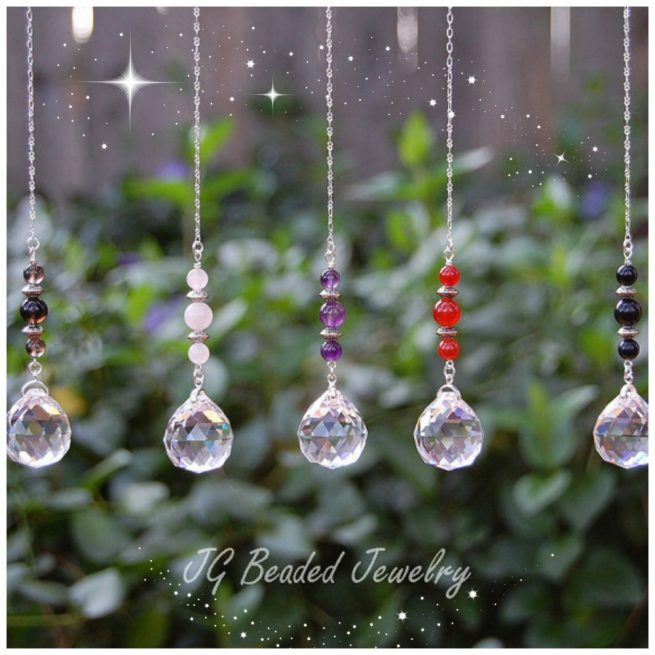 These gemstone crystal suncatchers can be hung on the rearview mirror, in a window or wherever you choose! 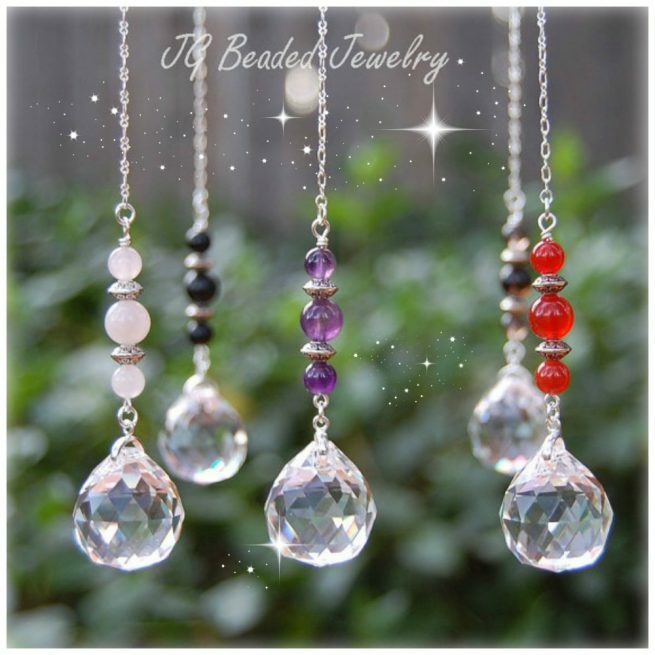 The crystals are uniquely designed with a 20mm prism crystal ball with your choice of smoky quartz, rose quartz, amethyst, carnelian or black onyx. 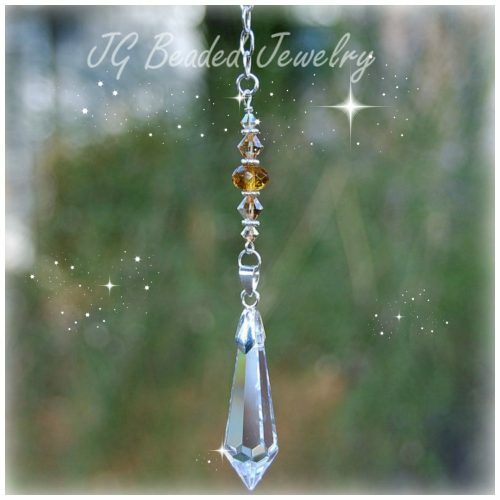 ♥ I am happy to customize with other gemstones, so feel free to send a message with your request before purchasing and I will respond as soon as possible! If you would like more than the quantity available, please let me know!